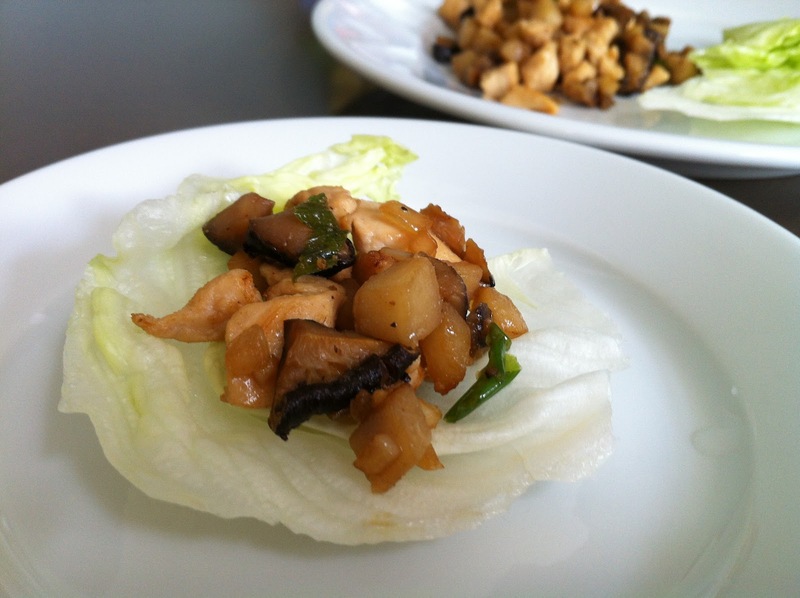 chicken lettuce wrap with soy ginger sauce | what is clara eating today? Mix sesame oil, soy sauce, ginger, green onion, and liquid stevia. Set the sauce aside. Heat 1T(14g) of canola oil. Sautee garlic and onion for 1-2 minutes. Add Shiitake mushroom and water chestnut and sautee for another 1-2 minutes. Set aside. Heat 1T(14g) of canola oil and cook chicken. Season lightly with salt and pepper. Add the vegetable mixture and cook for another minute as you combine well. Add the sauce and mix well.